French silver 3 piece set in the Middle Eastern style by Morel. Coffee pot and creamer with ivory handles. 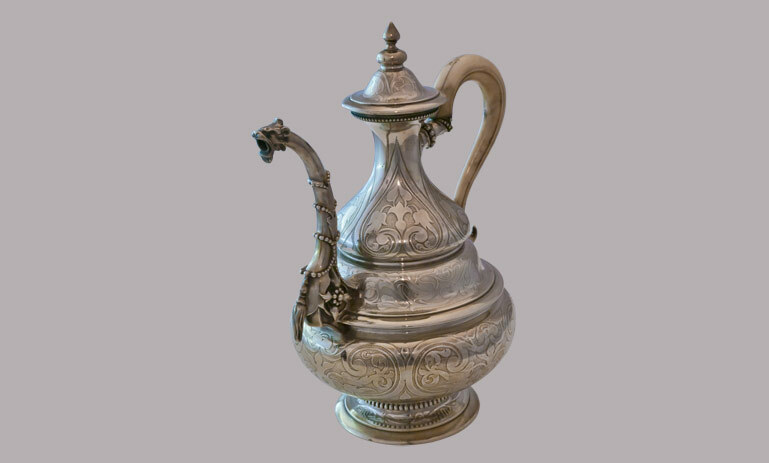 Coffee pot: 9 1/4", Creamer: 4 3/4", Sugar 7"